Spellbind was released on Steam a year ago. The steam community reviews and the direct messages we received led us to a major update. This update includes the new English texts corrected by a native speaker. We have also added steam cards, emoticons, badges and a few profile backgrounds. We hope that all these, along with the existing game achievements, will compensate the steam users. Many users have reported some bugs to us which we did our best to fix as soon as possible. This update will be available to the other stores in a few days. You can benefit from the 30% discount of the game on Steam for the next few days. Thank you all for your support and the constructive feedback. Don’t forget to spread out the Spellbind. It’s been some time since the last update. During the last 8 months, we actually had some activity on several projects. JAQK Rush beta is available on Facebook platform. 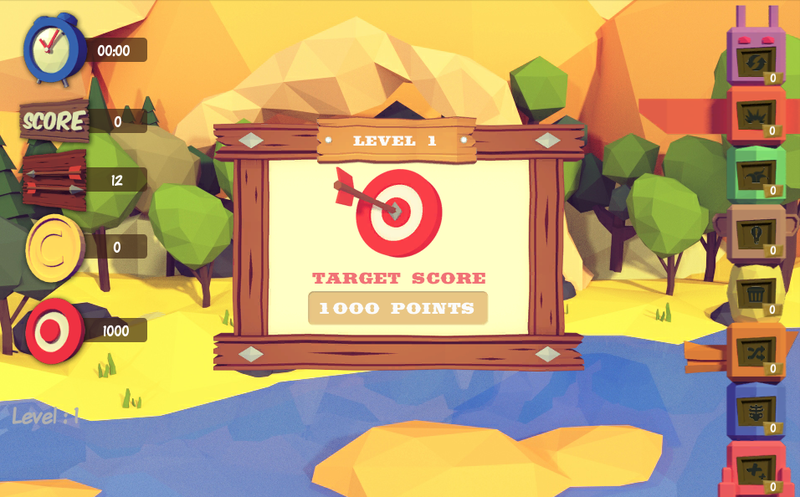 It is our first game that uses the Unity’s WebGL platform. Unity’s WebGL looks promising but it’s not without problems. The game is hosted on Heroku and we have already started working on multiplayer mode. It has been some time since Spellbind went live in mobile devices. After a couple of months, we decided to port it to desktop (Windows, Mac, Linux) and the game was included in the Lazy Guys bundle. Then suddenly, 45 days ago, the game was greenlit on Steam. What has happened since then? We agreed on a new collaboration with Black Shell Media whose mission statement seems to perfectly fit our philosophy. We added 12 steam achievements and a new game logo. We didn’t have to do much about video trailers and screenshots though, because they had already been in place from the previous desktop release. The game testing has not been easy. We had some Linux issues so we decided that Spellbind should be available only for Windows and Mac for the time being. Getting the game ready for steam for the first time was a rewarding and time consuming procedure. This means that the JAQK Rush development was postponed for a while and now we have to proceed quickly. Well, the day has arrived. Today, (Friday 04 March 12:00 PM EST), Spellbind is going to be available on Steam. Game’s development is going smooth and we have managed to be on schedule until now. A first playable prototype of the game’s AI has been finished and the first 100 levels of the game are ready for the first tests. The game will be featuring low-poly 3D pre-rendered graphics. Right now, a lot of stuff is under development along with the game’s integration with Facebook and Parse. As to the marketing aspect, a teaser video is on the making and a Facebook campaign to promote the Spider Key Games page is scheduled to begin right after it. You can see the campaign ad video below. We hope that by the end of May we will able to call for testers in Facebook to play and test the game (desktop version). Spellbind officially belongs to the past regarding development. But we are very happy to say that our small group has been enhanced with two additional persons which also happen to be good friends of ours. They will actively participate in the development of our new game. So the good news is that we are able to announce JAQK Rush, a social puzzle poker-based game. Certainly, this is not something new, there is an abundance of poker puzzle games but we think that JAQK Rush somehow dares to differ by combining classic matching game gameplay with a concept based on plane geometric figures. The target platform is Facebook. Once again the development tool is Unity3D. Currently a working prototype is being prepared and the first comments by people who have already tried it are really promising and encouraging. Soon we will publish the first gameplay video which will hopefully give you a better idea of the game.